A little background is in order for those who might not be familiar with Dave’s history. Born in Canada, he earned a Master of Music degree in Jazz Pedagogy from the University of Northern Iowa in 1998. After working as Director of Bands at Murdoch MacKay Collegiate in Winnipeg, Canada during 1998-2003 (which included recording three CDs and collecting quite a few awards), he earned his Doctor of Musical Arts degree in Composition with a Jazz Emphasis at the University of Memphis, where he taught and directed jazz ensembles. He worked as Assistant Professor of Music and Director of Jazz Studies at LeMoyne-Owen College in Memphis, where he created the LeMoyne-Owen Records label and the African Drumming Ensemble. Lisik now lives in New Zealand, where he works at the New Zealand School of Music in Wellington (teaching jazz composition, arranging, theory and pedagogy), co-directs the New Zealand Youth Jazz Orchestra, founded and produces the NZSM Jazz Festival, and is a trustee of the New Zealand Jazz Foundation. In addition, he has worked as a trumpeter (playing with big bands, his own quintet, and symphony orchestras) and he has written over 400 works. It has made for quite a busy life, which fortunately includes a regular series of recordings. For Machaut Man and a Superman Hat, Lisik was able to utilize trumpeter Alex Sipiagin’s quintet. “When players of this caliber are willing to share their amazing musicality, it is quite a remarkable experience,” says Lisik. “Alex Sipiagin came to the first New Zealand School of Music Jazz Festival as a guest artist in 2011 and we have worked together numerous times since then.” A superb trumpeter, Sipiagin has recorded with Lisik on his jazz orchestra suite Walkabout – A Place For Visions and on two other projects that will be released in the near future: an electroacoustic album with Seamus Blake (Students In Exile) and a set with a jazz orchestra (Origin Of Species). Although Lisik’s music is consistently challenging, the five musicians sound relaxed and effortless throughout this set, coming up with interpretations that clearly pleased the composer. The music is as colorful and offbeat as the song titles. “Hooptie on the 405” has a melody that recalls early Ornette Coleman. 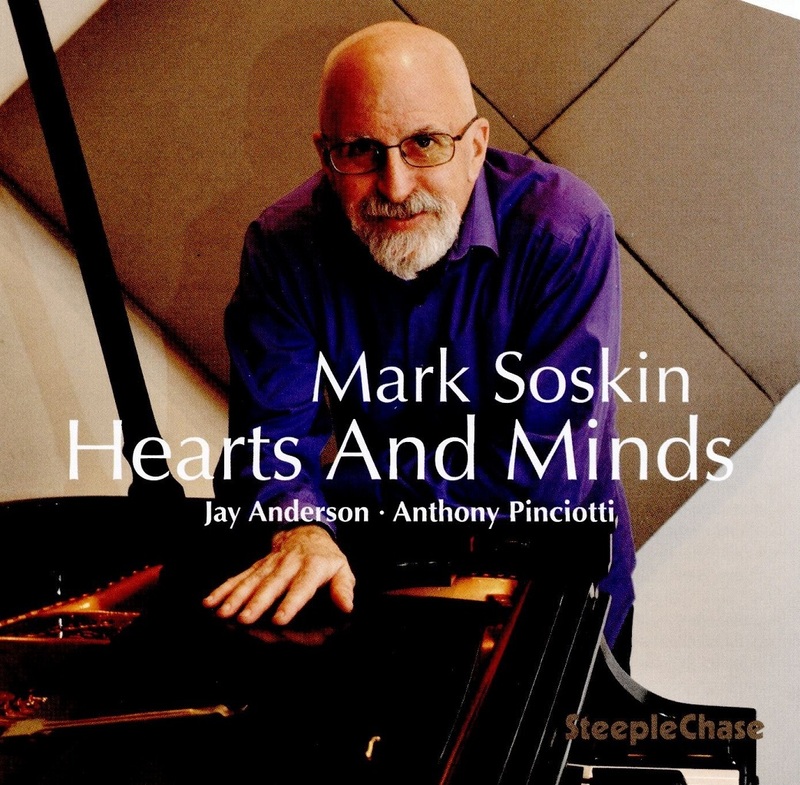 This performance, one of the strongest on the CD, includes a fine solo by Kikoski, a hard-swinging improvisation from Sipiagin, and some raging tenor by McCaslin. “Au Chien Qui Fume,” named after a Paris restaurant, is a sensitive ballad with a melody in two different keys. McCaslin’s soprano playing, which displays his original voice, is lyrical and beautiful. The up and down scalar piece (and Rolling Stones tribute) “Wet Chihuahua” is catchy, features some powerful trumpet and heated tenor, and has exciting interplay by the two horns at its conclusion. Hoagy Carmichael’s “Georgia On My Mind” was drastically re-harmonized for this version, and the results sound like a brand new song. The final track of this continually fascinating program is “Katafuzees”, a Lisik original based on John Coltrane’s “Giant Steps.” The two horns battle it out for a time before the rhythm section eventually joins in. The piano, bass and drums solos are outstanding, bringing this set to a fiery end. Dave Lisik may be a significant educator in New Zealand but, as this and his previous CDs show, he is obviously a major composer with an original style and conception of his own. All of his recordings are well worth exploring and savoring. Scott Yanow is the author of 11 books including The Great Jazz Guitarists, The Jazz Singers, Jazz On Film and Jazz On Record 1917-76. Bonnie And Clyde, a set of original music inspired by ten unique pairs of characters, is the latest accomplishment in the very productive and creative career of arranger-composer-trumpeter Dave Lisik. A Canadian who taught high school in Winnipeg, Canada and college in Memphis, Tennessee, Lisik has been a resident of Wellington, New Zealand since 2010 where he teaches at the New Zealand School of Music and has been a very active part of the jazz and creative music scene. 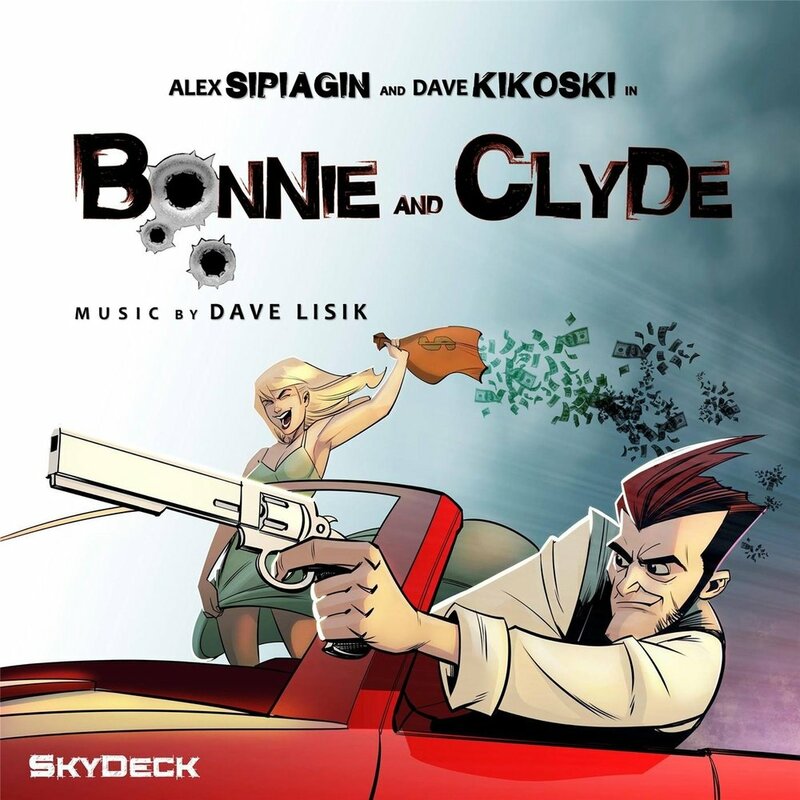 While Lisik has written for many larger ensembles, symphony orchestras and his own quintet in his career (with over 450 compositions), Bonnie and Clyde features the duo of trumpeter Alex Sipiagin and pianist Dave Kikoski interpreting his music. Sipiagin, along with Bob Sheppard, had been the principal soloist on Lisik’s 2011 jazz orchestra record Walkabout – A Place For Visions. 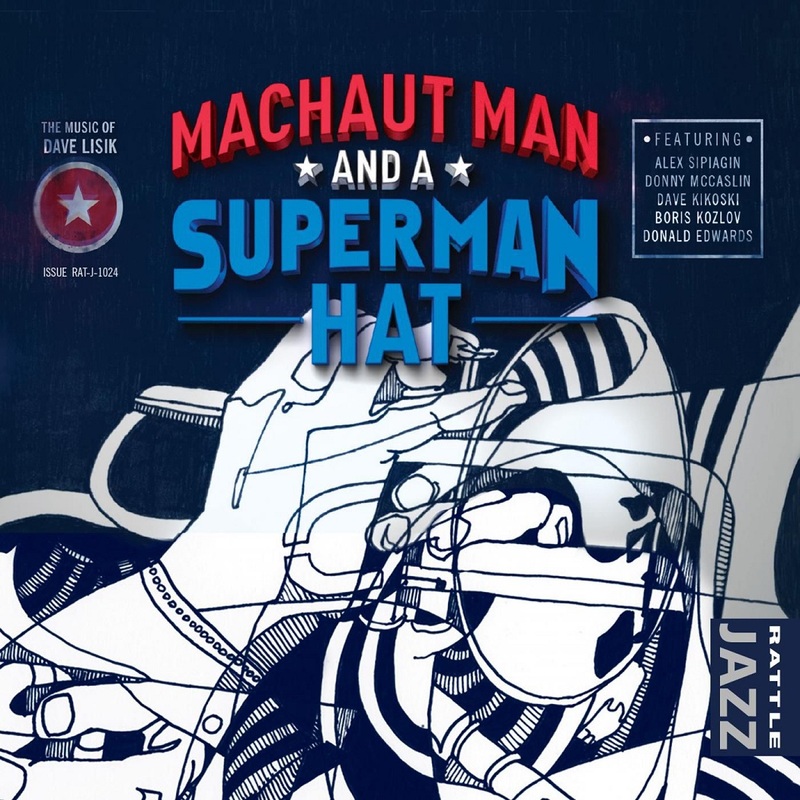 In 2014, Lisik’s quintet recording Machaut Man and a Superman Hat featured Sipiagin and tenor-saxophonist Donny McCaslin along with the rhythm section of the Mingus Big Band which included Dave Kikoski. Bonnie and Clyde begins with “Kourke ‘N Spock,” named after Captain James T. Kirk and Mr. Spock from Star Trek. “The odd spelling of Kourke is a nod to the way that Alex, with his Russian accent, pronounces Kirk. It’s identical to how the Russian Star Trek character Pavel Chekov said it, which I found humorous.” The wide intervals played by Sipiagin somehow sounds effortless and relaxed, giving this piece a futuristic feel. “Samneric,” the twin boys Sam and Eric from Lord Of The Flies who were so close that they melded into one character. This dramatic performance has Alex Sipiagin and Dave Kikoski engaging in dramatic interplay as they play off of each other’s ideas throughout the piece. “Antony and Cleopatra,” historic figures who were immortalized by Shakespeare, are musically portrayed by Sipiagin (who hints at the melancholy of Miles Davis on this piece even during his faster runs) and Kikoski, who takes an extended solo filled with twists and turns. “Porgy and Bess,” the lead characters in George Gershwin’s famed folk opera, are saluted in a thoughtful piece that is a bit nostalgic. “Henson and Oz” celebrates the creative partnership of Jim Henson and Frank Oz who together created Kermit the Frog and Miss Piggy and Ernie and Bert. This high energy romp has Sipiagin and Kikoski engaging in playful moments and fiery stretches that jump around with the energy of a children’s television show. About this track Lisik says, “Jim Henson and Frank Oz were one of the most important modern comedy duos. Henson passed unexpectedly in 1990 and Frank Oz eulogizing Jim Henson at his memorial service is one of the most touching moments I’ve seen and a wonderful tribute to the relationship between these two men. “Bonnie and Clyde” is for the Depression era criminals Bonnie Parker and Clyde Barrow who were depicted in a colorful movie of the same name. Lisik’s music is worthy of a memorable chase scene. “Arwen and Aragorn” is dedicated to two characters from the Lord Of The Rings, a saga that is particularly popular in New Zealand where the films were shot. The particularly lovely chord progression of this romantic jazz waltz is borrowed from “Fairy Tale” by Bob Washut, Lisik’s former teacher at the University of Northern Iowa. The cat and mouse interplay throughout “Holmes and Watson” is perfect for a tribute to Sherlock Holmes and Dr. Watson. The whimsical yet mysterious piece conjures up the image of a Sherlock Holmes tale. “Rosencrantz and Guildenstern” are Shakespearean characters from Hamlet. On this performance and briefly elsewhere, Dave Kikoski is heard on Fender Rhodes, sometimes playing electric and acoustic pianos together with one hand on each. The unisons and general theme on this original are quirky, witty and difficult to predict. Bonnie and Clyde concludes with “Fred And Ginger,” a warm ballad dedicated to Fred Astaire and Ginger Rogers. Too much praise cannot be given to the two musicians who interact spontaneously throughout the ten pieces with the same confidence and relaxed creativity that they would have displayed if they had been stretching out on much more familiar standards. Dave Lisik became involved in music early in his life. After playing organ for five years, he switched to trumpet in sixth grade, performing regularly in his school bands. “Both of my junior high and high school band directors were trumpet players so I'm sure that helped me.” Lisik developed quickly and, while still in high school, he performed for two years in the big band at the University of Manitoba. Always interested in writing, he experimented with electroacoustic music while in high school and mostly wrote classical music while in college, but gained experience writing jazz before and during his doctoral study at the University of Memphis. “I wrote for the guest artists who came to the school including Marvin Stamm, Bill Mays, Luis Bonilla, Paul Hanson, Carl Allen, and Kirk Whalum. Once my dissertation was finished, Luis was particularly encouraging and helpful in getting players to record my first big band CD.” Among those jazz composers and arrangers whose music inspired him early on were Bob Brookmeyer, Jim McNeely, Maria Schneider and Thad Jones. In addition to teaching at the New Zealand School of Music in Wellington, Lisik co-directs the New Zealand Youth Jazz Orchestra, founded and produces the NZSM Jazz Festival, and is a trustee of the New Zealand Jazz Foundation. During the past year he has co-written with Eric Allen the book 50 Years at the Village Vanguard: Thad Jones, Mel Lewis and the Vanguard Jazz Orchestra. He has also recorded many inventive CDs of his music with several new projects scheduled to be coming out in the near future. For the future, Dave Lisik says, “I hope to keep writing music for inspiring performers, both in classical music and jazz. I want there always to be some urgency to evolve and keep getting better rather than having my projects be too similar.” Bonnie and Clyde, which is unlike any of Dave Lisik’s previous recordings, succeeds at being fresh, new and full of inventive music. Scott Yanow, jazz author/historian and author of 11 books including Trumpet Kings and Jazz On Record 1917-76. 20% Off! Weekend Super Sale! Save on Cuneiform's Entire Digital Music Catalog! Schnellertollermeier, Wadada Leo Smith, Richard Pinhas/Heldon, The Claudia Quintet, Soft Machine, Robert Wyatt, Bent Knee, Miriodor, Thumbscrew (Mary Halvorson, Michael Formanek, Tomas Fujiwara), Gary Lucas, Rez Abbasi & Junction, Rob Mazurek, Ed Palermo Big Band, and many many more! Realize that this sale ends at 11:59pm UTC on November 27, 2017 so act now and explore our entire catalog of creative, ear-expanding and fun music! We know holiday shopping can be stressful, so we’re here to help! Here are a few of our favorite new albums that any jazz fan is sure to enjoy! In honor of what would have been Ella Firtzgerald’s 100th birthday, Verve Records released Someone To Watch Over Me. The album features digitally remastered vocal tracks from Ella’s original Decca and Verve Records recordings paired with newly orchestrated and arranged performances by the London Symphony Orchestra. In the world’s jazz capital of New York, Bill Charlap is considered one of the great players of songs for musicals and Broadway shows. A connoisseur of the American Songbook, he has previously drawn material for albums dedicated to Gershwin and Leonard Bernstein. 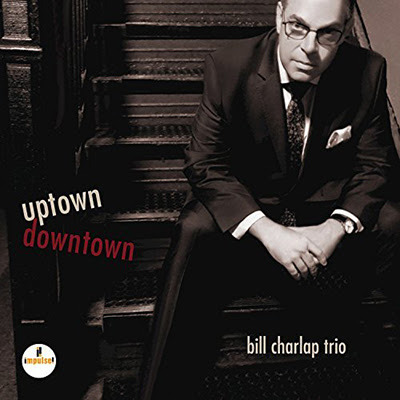 On Uptown, Downtown, Charlap preserves this love of song while leading the trio he has performed with since 1997. On this impulse! 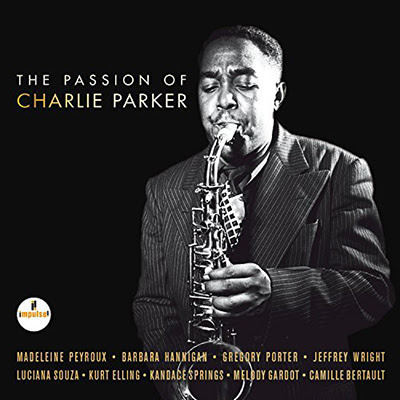 release, Charlie Parker's music is uniquely re-imagined by living legends of the modern jazz scene. This release aims to sound like something that outlines the shape of what Bird might be doing in this time. 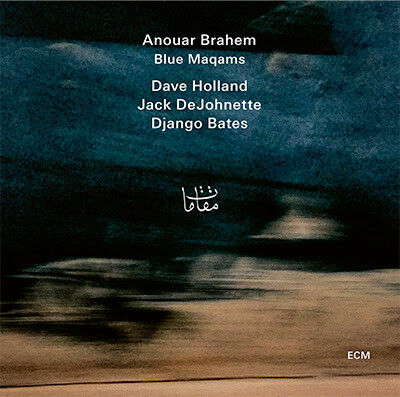 Blue Maqams the Tunisian oud master together with three brilliant improvisers: the “Maqams” of the title refers to the Arabic modal music system, rendered kind of blue by the jazz players.